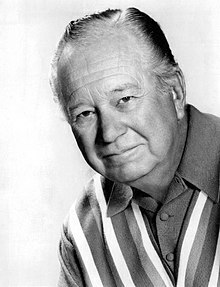 William Edgar Buchanan II (March 20, 1903 – April 4, 1979) was an American actor with a long career in both film and television, most familiar today as Uncle Joe Carson from the Petticoat Junction ,  :828 Green Acres , and The Beverly Hillbillies television sitcoms of the 1960s. On Petticoat Junction, he took over as proprietor of the Shady Rest Hotel following the 1968 death of show star Bea Benaderet, who had played Kate Bradley. In 1969, in the episode "Kathy Jo's First Birthday Party", he appeared with his real-life son, Buck (who had a cameo as an ice cream vendor). Humansville is a city in Polk County, Missouri, United States. As of the 2010 census, the city population was 1,048. It is part of the Springfield, Missouri Metropolitan Statistical Area. Paula Jonson is the current mayor. North Pacific College was a private, post-secondary educational institution located in Portland in the U.S. state of Oregon. A professional school, North Pacific had pharmacy, dental, and optometry programs. The dental program was purchased by the state of Oregon and merged into the University of Oregon School of Medicine and now exists as the Oregon Health & Science University School of Dentistry. The optometry school was merged into Pacific University and still exists as the Pacific University College of Optometry. 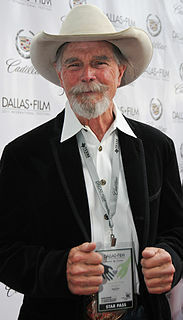 Buchanan appeared in more than 100 films, including Texas (1941) where he played a dentist and starred with William Holden and Glenn Ford and later in Penny Serenade (1941) with Cary Grant, Tombstone, the Town Too Tough to Die (1942), The Talk of the Town (1942) with Ronald Colman and Jean Arthur, The Man from Colorado (1948), Cheaper by the Dozen (1950), She Couldn't Say No (1954), Ride the High Country (1962) with Randolph Scott and Joel McCrea, McLintock! (1963) with John Wayne, Move Over, Darling (1963) with Doris Day and James Garner, and Benji (1974). 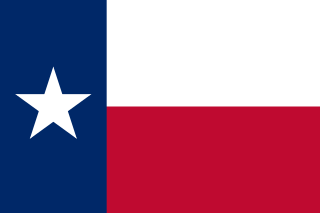 Texas is the second largest state in the United States by both area and population, right behind Alaska. Geographically located in the South Central region of the country, Texas shares borders with the U.S. states of Louisiana to the east, Arkansas to the northeast, Oklahoma to the north, New Mexico to the west, and the Mexican states of Chihuahua, Coahuila, Nuevo León, and Tamaulipas to the southwest, while the Gulf of Mexico is to the southeast. William Holden was an American actor who was one of the biggest box-office draws of the 1950s and 1960s. He won the Academy Award for Best Actor for the film Stalag 17 (1953), and a Primetime Emmy Award for Outstanding Lead Actor in a Limited Series or Movie for the television film The Blue Knight (1973). Holden starred in some of Hollywood's most popular and critically acclaimed films, including Sunset Boulevard, Sabrina, The Bridge on the River Kwai, The Wild Bunch, Picnic and Network. He was named one of the "Top 10 Stars of the Year" six times, and appeared as 25th on the American Film Institute's list of 25 greatest male stars of Classic Hollywood Cinema. Gwyllyn Samuel Newton "Glenn" Ford was a Canadian-American actor whose prolific career lasted more than 50 years. Although he played many different types of roles in many different types of movies, Ford was best known for playing ordinary men in unusual circumstances. He was most prominent during Hollywood's Golden Age. Some of his most significant roles were as the lead or co-lead in Gilda (1946) and The Big Heat (1953), both film noirs, and the high school angst film Blackboard Jungle (1955), although it was only for comedies or westerns which he received acting laurels, including three Golden Globe Nominations for Best Actor in a Comedy movie, winning for Pocketful of Miracles (1961). He also played a supporting role as Clark Kent's adopted father in Superman (1978). Among the many television series in which he was cast as a guest star were Cimarron City , The Californians , The Rifleman Edgar appeared in six episodes of The Rifleman, playing Grandpa Fogerty in “The Long Goodbye” (Episode 119) and Doc Burrage in the other five: “The Pet” (episode 15), “The Second Witness” (episode 23), “The Trade” (episode 24), “The Deadly Wait” (episode 26), and “The Angry Man” (episode 31).,  the episode "Duel at Sundown" of Maverick with James Garner and Clint Eastwood, Leave It to Beaver (as both "Uncle Billy" and "Captain Jack"), The Twilight Zone , Riverboat (as Wingate Pardee in the 1960 episode, "Duel on the River"), Gunsmoke , Route 66 , Bringing Up Buddy , Bus Stop , and The Lloyd Bridges Show . Cimarron City is an American one hour Western television series, starring George Montgomery as Matt Rockford and John Smith as Lane Temple, that aired on NBC from 1958 to 1959. Cimarron City is a boomtown in Logan County, Oklahoma north of Oklahoma City. Rich in oil and gold, Cimarron City aspires to become the capital of the future state of Oklahoma, to be created in 1907. The Californians is a half-hour Western television series, set during the San Francisco gold rush of the 1850s, which was broadcast by NBC from September 24, 1957, to May 26, 1959, for 69 episodes. The Rifleman is an American Western television program starring Chuck Connors as rancher Lucas McCain and Johnny Crawford as his son Mark McCain. It was set in the 1870s and 1880s in the fictional town of North Fork, New Mexico Territory. The show was filmed in black and white, in half-hour episodes. 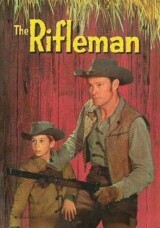 The Rifleman aired on ABC from September 30, 1958, to April 8, 1963, as a production of Four Star Television. It was one of the first prime time series on US television to show a single parent raising a child. Hopalong Cassidy or Hop-along Cassidy is a fictional cowboy hero created in 1904 by the author Clarence E. Mulford, who wrote a series of popular short stories and many novels based on the character. Cade's County is a modern-day Western/crime drama which aired Sundays at 9:30 pm (EST) on CBS during the 1971–1972 television season. There were 24 episodes. In 1956, Buchanan portrayed the lead in the 39-episode syndicated Western television series, Judge Roy Bean ,  set in Langtry, Texas, and filmed in color in California. Only loosely based on the career of the legendary storekeeper, bartender, and justice of the peace, Roy Bean, the series had supporting roles for Jack Buetel, Jackie Loughery, and Russell Hayden as a Texas Ranger. The series popularized Bean's claim to having been "The Only Law West of the Pecos", a reference to the Pecos River in Val Verde County in southwestern Texas. From 1960 to 1962, he appeared four times on the NBC Western series Laramie , Buchanan made two guest appearances on Perry Mason : in 1958 as a small-town coroner in "The Case of the Perjured Parrot" and in 1962 as a small-town judge in "The Case of the Lurid Letter". Judge Roy Bean is a syndicated American western television series starring Edgar Buchanan as the legendary Kentucky-born Judge Roy Bean, a Texas justice of the peace known as "The Law West of the Pecos". Langtry is an unincorporated community in Val Verde County, Texas, United States. The community is notable as the place where Judge Roy Bean, the "Law West of the Pecos", had his saloon and practiced law. Buchanan appeared as Uncle Joe Carson in all 222 episodes of Petticoat Junction, the only actor from the show to do so, as well as in 17 episodes of Green Acres,  :416 and three episodes of The Beverly Hillbillies. Another star from Petticoat Junction and he appeared together in the 1974 movie Benji ; the other "star" was Higgins the dog, which portrayed the title character. George Glenn Strange was an American actor who mostly appeared in Western films. He is best remembered for playing Frankenstein's monster in three Universal films during the 1940s and for his role as Sam Noonan, the popular bartender on CBS's Gunsmoke television series. Petticoat Junction is an American sitcom that originally aired on CBS from September 1963 to April 1970. The series takes place at the Shady Rest Hotel, which is run by Kate Bradley, her three daughters Billie Jo, Bobbie Jo, and Betty Jo, and her uncle Joe Carson. The series is one of three interrelated shows about rural characters produced by Paul Henning. Petticoat Junction was created upon the success of Henning's previous rural/urban-themed sitcom The Beverly Hillbillies (1962–1971). The success of Petticoat Junction led to a spin-off, Green Acres (1965–1971). 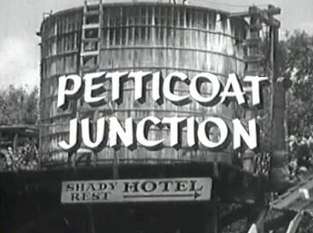 Petticoat Junction was produced by Wayfilms. Frank Randolph Cady was an American actor best known for his role as storekeeper Sam Drucker in three American television series during the 1960s – Petticoat Junction, Green Acres, and The Beverly Hillbillies – and his earlier role as Doc Williams on The Adventures of Ozzie and Harriet. Higgins was one of the best-known dog actors of the 1960s and 1970s. Most people remember him as the original Benji or as the uncredited dog from Petticoat Junction, two of the most popular roles he played during a 14-year career in show business. Douglas Osborne McClure was an American actor whose career in film and television extended from the 1950s to the 1990s. He is best known for his role as the cowboy Trampas during the entire run from 1962 to 1971 of the NBC Western series, The Virginian, loosely based on the Owen Wister novel. Jack Buetel was an American film and television actor. Robert William "Dabbs" Greer was an American actor who performed many diverse supporting roles in film and television for over 50 years. With hundreds of guest appearances on episodes of numerous television series, Greer may be best remembered as a series regular as Coach Ossie Weiss in the sitcom Hank and as a series regular as the Reverend Robert Alden in Little House on the Prairie. Greer may be better known to later audiences as the 108-year-old version of the character played by Tom Hanks in 1999's The Green Mile. Tristram Chockley Coffin was a film and television actor from the latter 1930s through the 1970s, usually in westerns or other action-adventure productions. Linda Kaye Henning is an American actress and singer most notable for starring in the 1960s sitcom Petticoat Junction. Benji Gregory is a former American actor. He is best known for playing the role of Brian Tanner on the sitcom ALF. Russell "Lucky" Hayden was an American film and television actor. He is best known for his portrayal as Lucky Jenkins in Paramount's popular Hopalong Cassidy film series. Walter Clarence Taylor, III, known as Buck Taylor, is an American actor best known for his role as gunsmith-turned-deputy Newly O'Brien in 174 episodes during the last eight seasons of CBS's Gunsmoke television series (1967–1975). In recent years, he has painted the portrait of his friend and Gunsmoke series' star James Arness. Taylor's painting specialty is the American West, and each year, he creates the posters for several Texas rodeos. Taylor lives with his second wife on a ranch near Fort Worth, Texas. Peter Whitney was an American actor in film and television. Whitney was born in Long Branch, New Jersey. Tall and heavyset, he played brutish villains in many Hollywood films in the 1940s and 1950s. Ronald G. Hayes, was an American television actor who, as an activist in the environmental movement, worked for the establishment of the first Earth Day, observed on April 22, 1970. He was a member of the Sierra Club and a founder of the ecological interest group Wilderness World. Harry William Harvey Sr. was an American actor of theatre, film, and television. He was the father of actor, script supervisor, and director Harry William Harvey Jr..
Mason Alan Dinehart, also known as Mason Alan Dinehart III, Alan Dinehart III, or Mase Dinehart, is an American business consultant and retired actor best known for his role as a youthful Bat Masterson in thirty-four episodes between 1955 and 1959 of the ABC/Desilu television series The Life and Legend of Wyatt Earp, starring Hugh O'Brian in the title role of the frontier marshal Wyatt Earp. 1 2 3 Terrace, Vincent (2011). Encyclopedia of Television Shows, 1925 through 2010 (2nd ed.). Jefferson, N.C.: McFarland & Company, Inc., Publishers. p. 151. ISBN 978-0-7864-6477-7. ↑ "Buck Comes Home". The Eugene Guard. Oregon, Eugene. May 18, 1959. p. 11. Retrieved July 28, 2017– via Newspapers.com. ↑ Edgar Buchanan, Actor, Matineeclassics.com; retrieved March 10, 2013. ↑ "Edgar Buchanan: the frontier dentist who played one on TV". July 12, 2010. Oregon Health & Science University . Retrieved June 10, 2013. ↑ Monush, Barry (2003). Screen World Presents the Encyclopedia of Hollywood Film Actors: From the silent era to 1965. Hal Leonard Corporation. p. 96. ISBN 9781557835512 . Retrieved 29 July 2017. ↑ The Rattle of Theta Chi. Theta Chi Fraternity Inc. 1942. p. 13. Retrieved 28 July 2017. 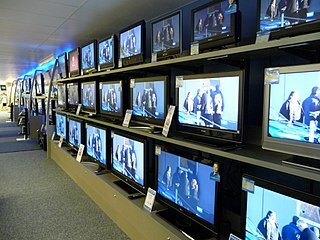 ↑ "Secrets Of TV's The Rifleman: More Than Just Guns And Good Times - Page 66 of 81". Trend-chaser.com. 1970-01-01. Retrieved 2017-07-13. 1 2 Erickson, Hal (1989). Syndicated Television: The First Forty Years, 1947-1987. McFarland & Company, Inc. ISBN 0-7864-1198-8. P. 97. 1 2 Leszczak, Bob (2015). From Small Screen to Vinyl: A Guide to Television Stars Who Made Records, 1950-2000. Rowman & Littlefield. pp. 35–36. ISBN 9781442242746 . Retrieved 29 July 2017. Wikimedia Commons has media related to Edgar Buchanan .